Back in 2013, Pitchfork awarded DJ Koze’s album Amygdala an 8.6 for Best New Music. The award was well deserved in my eyes, considering Amygdala was my favorite record of that year. The album art perfectly embodies how trippy the music is and so do the first lines of the record. The opening lines of the album are “The pills should be kicking in right about now. Can you feel it?” Following those lines, you’re transported into a psychedelic world given to us by DJ Koze along with other collaborators. Caribou, Matthew Dear, and Apparat also appear on the album which is a huge treat for any electronic music fan knowing the three artists are quite popular. After DJ Koze’s smash hit record Amygdala, he released Reincarnations Pt. II, a remix album, and DJ Kicks, a compilation album. Both albums performed well on review sites and I personally believe their judgment to be correct. Reincarnations Pt. II has a heavier, booming sound compared to the more ambient, chillout album Amygdala. The new remix album and compilation album are definitely more rave-friendly than Amygdala. This party is going till 4am. I hope you’re ready to dance all night. 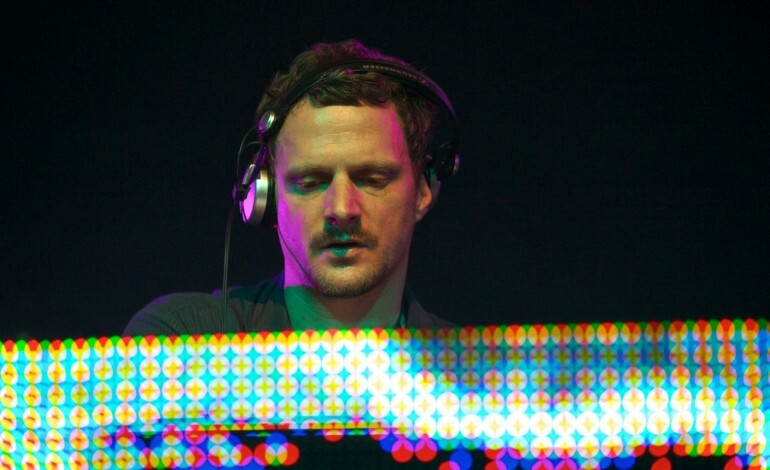 Even if you’re not familiar with DJ Koze, this will be the concert you won’t want to miss. Matthew Dear and plenty of other acts are opening for DJ Koze. Listen to Magical Boy by DJ Koze featuring Matthew Dear below. Tickets are almost sold out so act quickly!